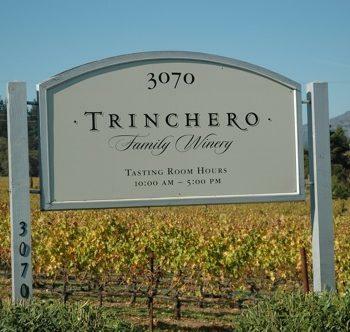 Family owned and operated in the heart of Napa Valley since 1948, Trinchero Family Estates is a worldwide leader in the wine industry, with more than 45 acclaimed wine and spirits brands and a global presence in nearly 50 countries. Ours is a story of modest beginnings, steadfast perseverance and enduring passion--for the land, for the community, for world-class wine. James Suckling 93"Lots of spicy, rich fruit to this red with a blackberry, boysenberry flavor plus hints of tar and licorice. Full body, firm tannins and a fresh finish. Drink or hold." Wine Enthusiast 85"Smells of green pea and grapefruit jump from the glass, slowly yielding to flavors of peach, pear and a bit of grassiness. This is a plump, readily quaffable Sauvignon, not too extreme to provide mass appeal. "